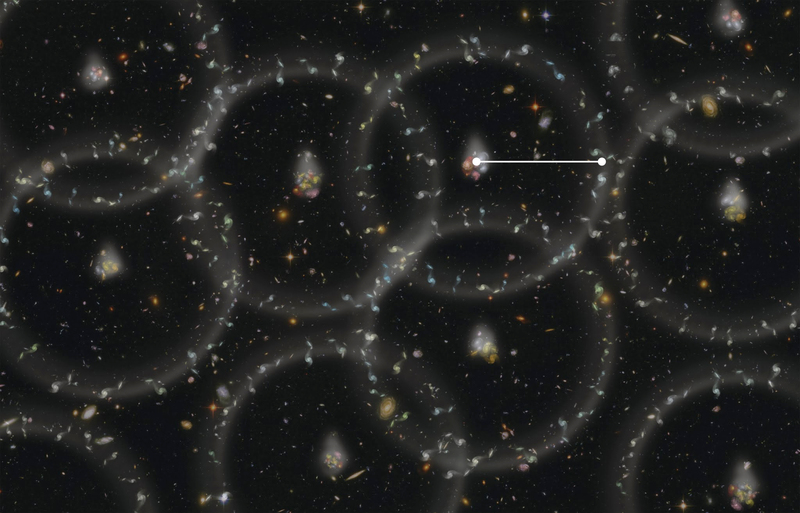 Remember — those points of light aren’t stars; they’re entire galaxies. Each containing several hundred billion stars of their own. Feeling a bit small yet? Continued research by the Baryon Oscillation Spectroscopic Survey (BOSS) has now mapped the universal structure out to nearly 7 billion light-years… about halfway there, at one percent accuracy to boot.